I’ve long been arguing for the transition from ‘The Fossil Fuel Age’ to ‘The Solar Age’. Climate Change dictates we must, and the opportunities to build a better future for all while making this transition are almost infinite. We are witnessing the death spiral of the coal industry: Peabody, Arch and a host of other coal companies have all filed for bankruptcy in recent months. They all had planned on continued expansion of their industry and massively underestimated the growth of renewables. And the rise of renewables is now happening dramatically quickly in many countries. The figures for 2015 are now available. Global investments in renewables were £229 billion, an all time high, compared to just £90 billion in coal and natural gas. Renewables used to be seen as a small niche market: not anymore! Globally it’s a very mixed picture. France and Germany saw decreases in investment, but most countries saw rapid increase in investment. China was by far the biggest single player, but some smaller countries saw extraordinary growth, led by Mexico, Chile, Morocco and South Africa. Japan led the rooftop photovoltaic sector, Morocco the concentrating solar thermal sector, China, Germany and UK all opened impressive offshore wind farms over the last year. 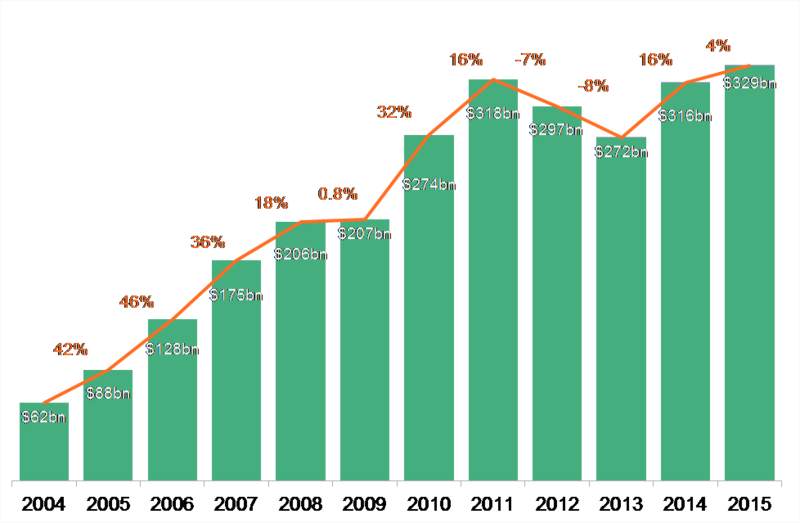 Wind and solar are becoming well established industries. Some other renewables are about to emerge onto the global stage. Geothermal power is expanding in Turkey, Kenya, Ethiopia and elsewhere. The UK might yet become a leader in the tidal energy sector, as the MeyGen tidal flow project in the Pentland Firth is currently under construction, a similar tidal stream project off the Isle of Wight has just been approved and the Swansea Bay Tidal Lagoon project will hopefully soon get the go-ahead, opening the way for many more such projects. Other technologies are waiting in the wings, such as wave power and algal bioreactors. Energy storage and interconnection technologies are improving rapidly so a 100% renewable energy future becomes ever more achievable, for electricity, heating, cooling and transport. My prediction is that this global energy transition will happen very much more quickly than our politicians and the old energy incumbency are planning for. This entry was posted in Business Investment, Climate Change, Energy, Global on 24 April 2016 by Richard. Ouarzazate solar plant, phase one, recently opened in Morocco. Saudi Arabia has recently announced plans to set up a $2 trillion fund to help it make the transition into a post fossil fuel economy. I find this is very welcome news. (Some commentators are sceptical about how serious they are.) In January I mentioned the possibility of Saudi bankruptcy if they kept pumping vast quantities of oil at a loss. They have enormous solar energy potential, the accumulated capital to invest and with ACWA an engineering company with growing expertise in building concentrating solar power stations. The Moroccans have recently switched on the first phase (160 MW) of the Ouarzazate solar power station, which when completed in 2018 will be 580 MW, cost $9billion and be the largest solar power station in the World. The consortium building the whole plant is made up of the Moroccan solar agency MASAN, the Saudi engineering company ACWA and several Spanish specialist solar companies like TSK, Sener, Acciona and Aries. Per capita carbon emissions in Saudi Arabia are a whopping 18.1 tonnes; they have high youth unemployment and currently an economy that is hugely over dependent on a fuel that is rapidly becoming obsolete. Until now they’ve hardly begun to tap their solar potential. 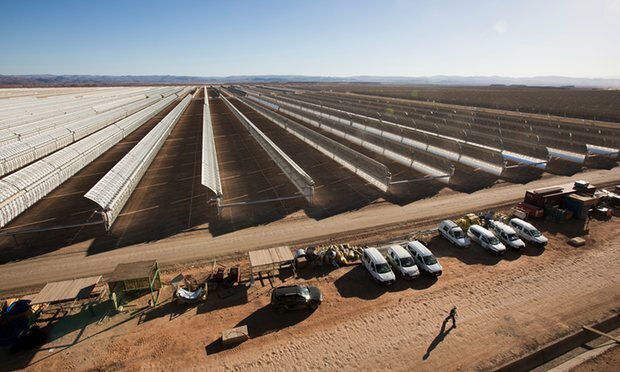 If I was advising the Saudi government I’d be arguing that they should start building concentrating solar power stations just like the one at Ouarzazate. They should collaborate with the many international centres of research and development and set up such centres in Saudi Arabia. They could invest in shares in many of the small solar start up companies and bring their technologies to Saudi Arabia. They could bring in Sundrop Farms to do solar desalination and hydroponic agriculture as is currently being developed at Port Augusta in Australia, and transport the produce in Dearman nitrogen powered refrigerated trucks. Doing all this could help create many new opportunities for Saudi people, put the economy on a more sustainable footing and massively reduce pollution and carbon emissions. With $2 trillion to play with they could utterly transform their economy. Time will tell if they are serious. This entry was posted in Business Investment, Climate Change, Economics, Energy on 14 April 2016 by Richard. The Panama Papers are, in the words of the EU Commissioner for Competition Margrethe Vestager, ‘just the tip of the iceberg’. This is hardly surprising to those of us concerned about social justice. But this story is hugely significant. It is drawing into focus the unfairness of the global system. This could grow into something truly epoch shifting. Iceland’s Sigmundur Gunnlaugsson has been forced to step down. He will probably not be the last. Globally many politicians, celebrities and other wealthy individuals have been revealed to be implicated. They will fight to maintain their privilege. This struggle for justice will be global, long and hard fought. In China at least seven current and former senior politicians, including President Xi, are implicated. Mossack Fonseca’s Hong Kong office was its busiest branch, shifting about $1 trillion into tax dodging offshore shell companies last year alone, and thus destabilizing the entire Chinese economy. President Xi had made tackling corruption a theme of his presidency, yet now appears implicated himself. This could have huge ramifications. Unsurprisingly in Russia the Mossack Fonseca leak shows Putin and his inner circle enriching themselves at the expense of the Russian people. Meanwhile in the USA Hilary Clinton is seen as closely associated with the global financial elite while Bernie Sanders is the antithesis. In terms of the Democratic nomination Sanders has a lot of catching up to do, but over recent weeks his momentum has been building with wins in Idaho, Utah, Alaska, Hawaii, Washington State and Wisconsin. This issue could be pivotal in bringing him success in the big upcoming primaries in New York, Pennsylvania and California. It could also knock Donald Trump out of the picture. A Sanders victory could be the best thing to happen in American politics since Roosevelt’s New Deal. In the UK David Cameron claims ‘no prime minister or UK government has done more to tackle tax avoidance and evasion’, yet his own father is implicated in the Panama Papers. His claim looks pretty risible. Corbyn is making the right noises, but as the Blair-Brown era was a time of rapid increase in these dodgy financial practices the Labour Party have a lot to prove to show they are really up to the job. 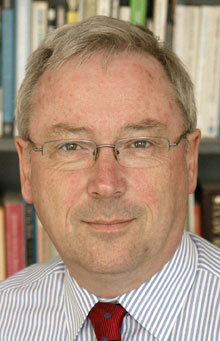 What is needed is an independent public inquiry, ideally chaired by someone such as Richard Murphy of Tax Research UK. Corruption is a dominant theme in the politics of many countries. For change to happen we need the continued efforts of organisations such as The International Consortium of Investigative Journalists (ICIJ), the expertise of individuals such as Richard Murphy, the emergence of politicians like Bernie Sanders in USA, Uruguay’s Jose Mujica and Delhi’s Arvind Kejriwal who do give a real alternative to the status quo. Most of all we need the global populace to get active in pressing for change, and supportive of those capable of bringing it about! This entry was posted in Economics, Global, Politics on 7 April 2016 by Richard.